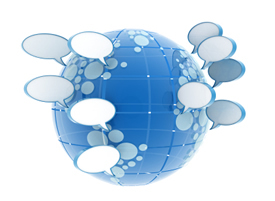 International funeral service conversations, we’re different but face the similar challenges. I recently returned from an overseas trip meeting with funeral professionals from the United Kingdom, Ireland and Scandinavia (Sweden in particular). Having discussions regarding funeral home operations, marketing and consumer perspectives was quite interesting. The basics of a person dying and the family in need of a funeral professional is the foundation of our business no matter the geographic location, however there are varying degrees of processes and perceptions about our business. As in the US, pre-need planning/funding is a hot topic in the UK having continuous issues of perceived (and real) money handling issues. Also in the UK, the funeral directors and funeral homes are not regulated as we are here in the US. Basically anyone can “set up shop” to provide funeral services. Very few funeral homes own crematories as most crematories are owned by local municipalities. Just like the US, consumers are struggling to pay for funeral services of their deceased loved ones which increases pressure on funeral homes to offer alternative services/products for additional revenue. Significantly different in Sweden; consumers are prohibited from keeping the cremated remains of their deceased loved ones. The cremated remains must be buried or entombed in an approved niche. I found most interesting the lack of technology (even worse than the US) funeral homes/directors use as a basic premise of their operations and marketing. There are a growing number of funeral homes that have websites, however the content on the sites vary greatly (just like the US). A consumer may find the perfunctory “we care more,” “our family serving your family since” and “look at our fleet of cars” blah, blah, blah. In some parts of the EU, funeral homes are now just considering posting online obituaries. The use of social media by funeral homes to consumers is extremely sparse, yes even more so that in the United States. The best part of my position is the ability to meet other professionals in our industry all over the world and have conversations from different perspectives. A recurring conversation and full agreement is the varying degree of information a family may receive based on the funeral directors experience, personality or even mood while in an arrangement session…the lack of consistency of information provided. We all agreed that the internet and an educated funeral consumer is going to create challenges for funeral directors in the “I’ve always done it this way” mode of funeral arranging. I’m going to write a 2014 year end review and make some predictions for 2015…this subject will certainly again be addressed.